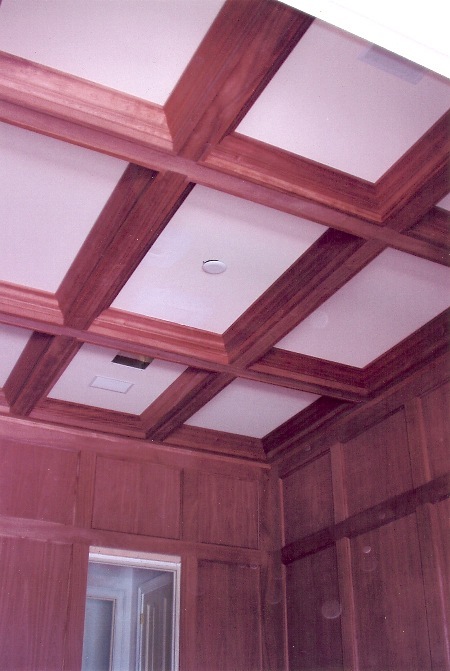 Mahogany coffered ceiling and wall paneling. 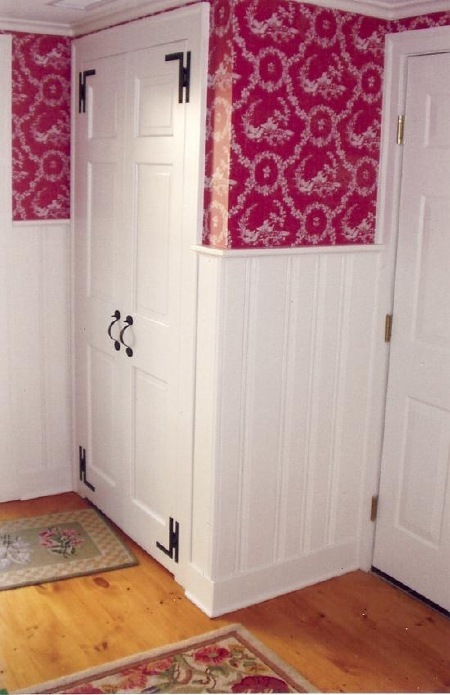 Paneled mud room, painted finish. 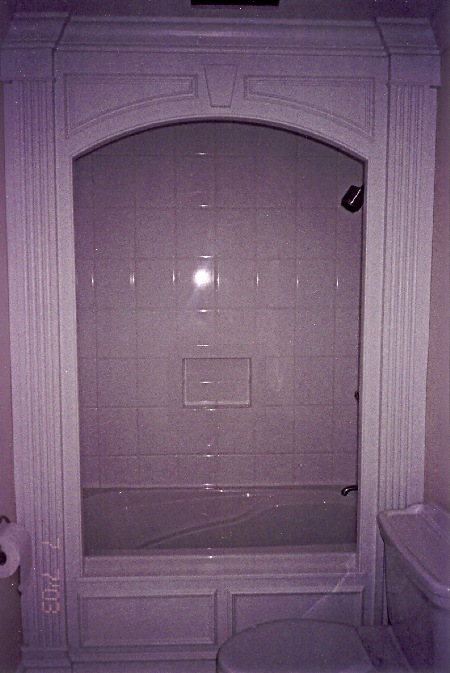 Arched trim around bathtub, painted white finish. 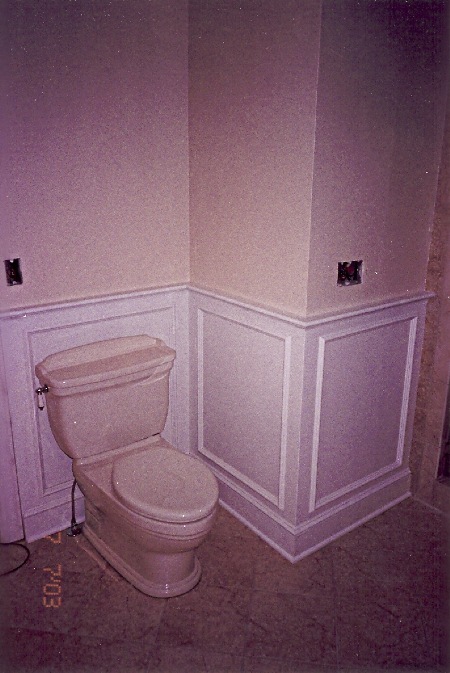 Wall paneling in bath. 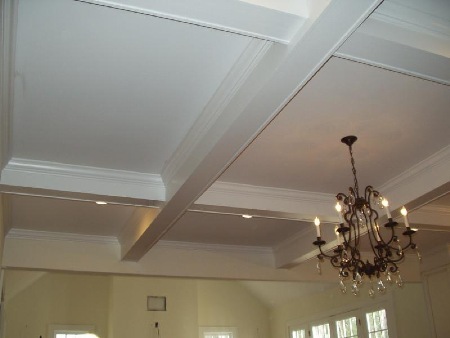 Applied molding style, painted white.